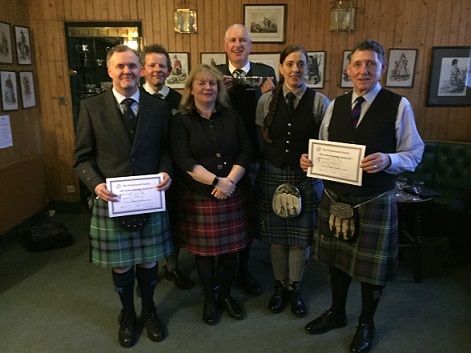 The 25th annual Archie Kenneth Quaich competition for amateur piobaireachd players was held in the Royal Scottish Pipers’ Society’s rooms in Edinburgh on Saturday 4 March. The competition is sponsored by the Piobaireachd Society as one of their ways of encouraging the wider playing and appreciation of piobaireachd. This year there were 31 competitors including two from the USA, and one each from Ireland, Germany and Switzerland. Five players were participating for the first time. In view of the high number of entrants, the competition was played in two heats with a final of three players from each heat. This format worked well logistically, but the pressure of having to play twice was evident to some extent in the final. Nevertheless, there were some excellent performances and the bagpipes were generally good. A large number of competitors and friends stayed on for the final and a relaxed and friendly atmosphere prevailed, as always. 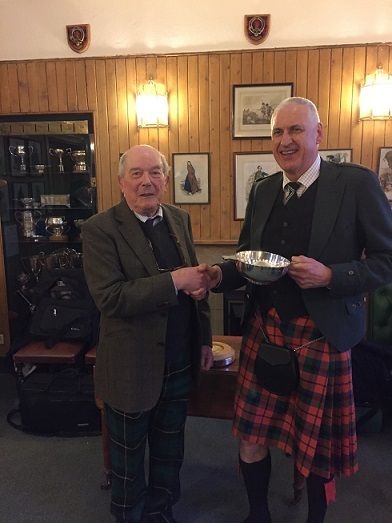 The Archie Kenneth Quaich was won by Robert Frater from Harrogate. Competitors submitted two tunes and were advised a week in advance which had been chosen for them to play in the heats. A wide variety of tunes was presented, including a number of ‘modern’ compositions, and they were generally well prepared and musically performed. 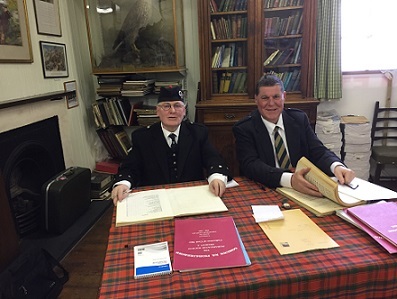 The judges were Willie Morrison and Bruce Hitchings and the prizes were presented by Mr James Burnet, a former office bearer of the Piobaireachd Society and one of the originators of the competition 25 years ago. The smooth running of the event was due in no small measure to the energy and enthusiasm of members of the Royal Scottish Pipers Society, who did the stewarding, helped with tuning and made sure that everyone was made welcome.